Pediatric Five Element Typing Made Easy - Robin Green Acupuncture, Inc. Learn Robin's simple system for determining a child's Five Element type. This course includes a 1-hour video, 36-page guidebook. 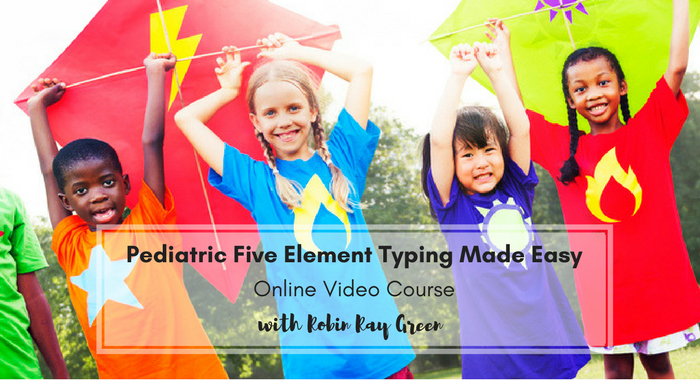 Register Below for Pediatric Five Element Typing Made Easy. Once you've clicked the Complete Purchase button, we'll e-mail you sign-in info for the video presentation, the Five Element Typing Made Easy Guidebook, Five Element eval form and the Five Element Questionnaire. You'll also have access to the links to take your quiz and get your CEU's. What's your biggest question about Pediatric Five Elements? Add Word of Mouth for $25 off!